Here’s information about a screen printed mural in Belfast, Northern Ireland sent to us by Leo Boyd. 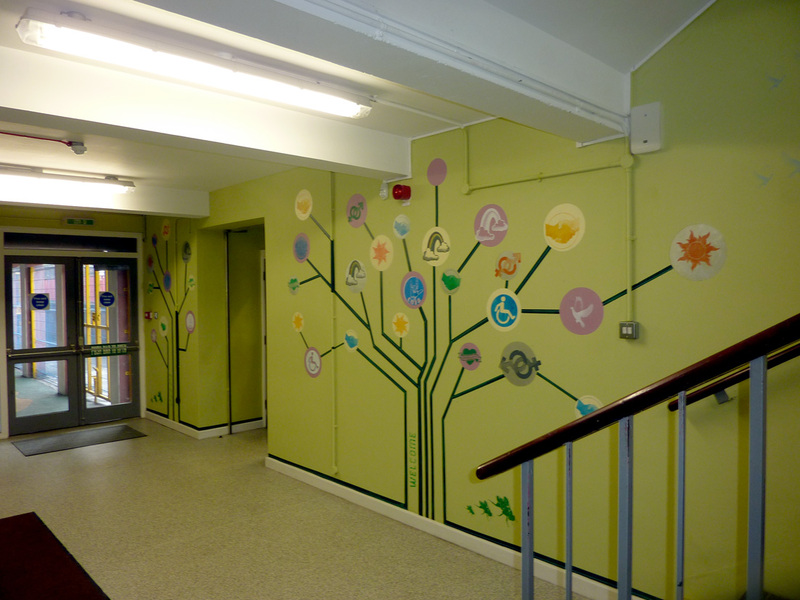 This mural was designed for the entranceway of a youth centre on an interface in Belfast. The original design was conceived as being a series of interlocking circuit board trees where the nodes of the circuit would contain images created in a group of workshops. 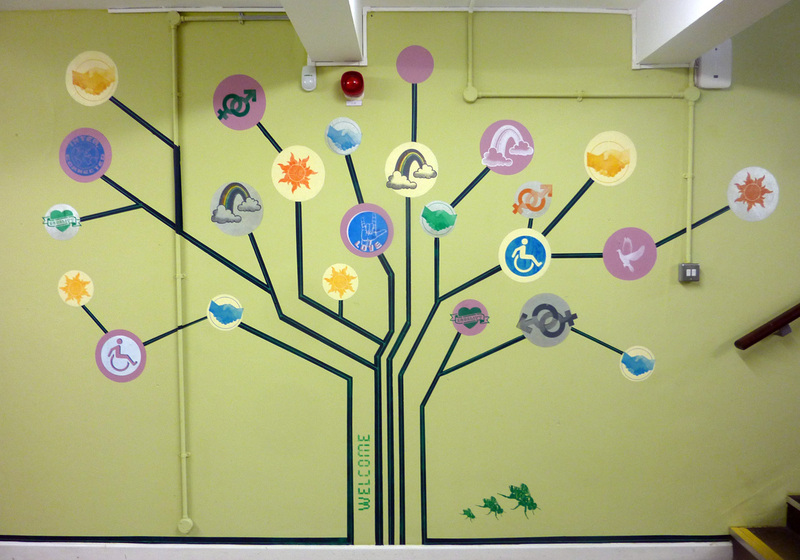 The brief for the mural was to create something that represented the ethos of the youth centre. IE: inclusion for everyone, no matter your religion, ethnicity, ability or sexual orientation. With this mural Laura and I wanted to try something different and considering my back ground as a print maker we decided to have a go at vertical screen printing. The next step in the mural is the ‘Welcome Wall.’ The kids in the workshop have designed a series of welcomes in various different languages. 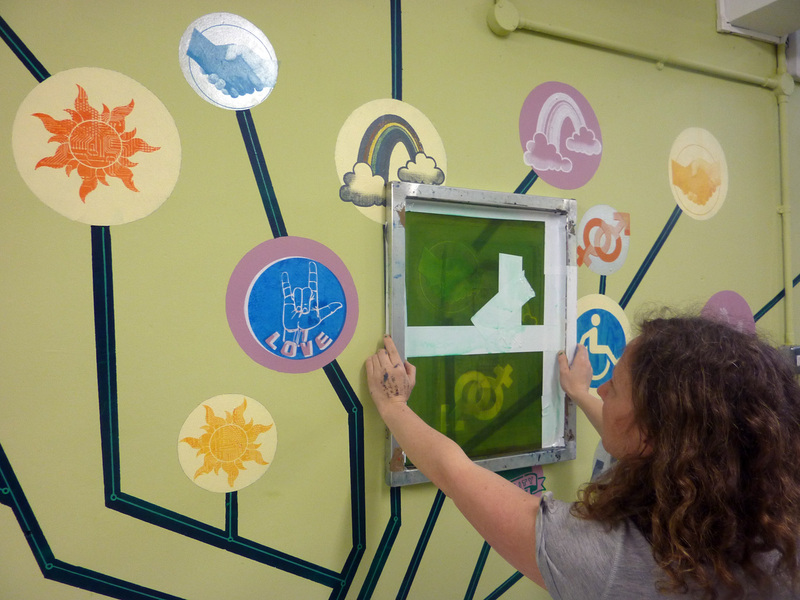 We will screen print their designs onto the wall and have the kids paint in the colours.